Phosphodiester bonds are what make up the backbone of DNA and RNA molecules. 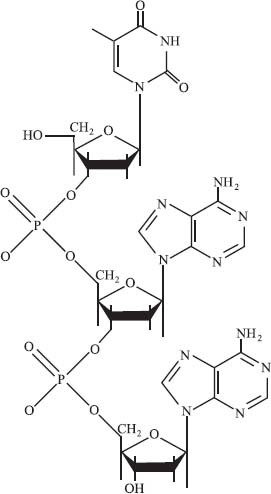 These bonds provide the linkage that holds together the individual nucleotides or nucleosides in DNA and RNA. Enzymes called polymerases catalyze their formation (DNA polymerases for DNA and RNA polymerases for RNA). Take a look at the picture below to see the chemical structure of a phosphodiester bond.